Appendix D Contributors to GNU Pascal. invented GNU Pascal in March 1988, implemented the ISO 7185 and most of the ISO 10206 standard, etc. added Borland Pascal related and other extensions to GNU Pascal in summer 1995, ported GPC to EMX, did most of the development of the compiler from 1996 to 2001, created the WWW home page, etc. ported GPC to DJGPP and to Microsoft Windows 95/NT, added ELF support in spring 1996, solved a lot of configuration and compatibility problems, created the GPC FAQ, etc. rewrote and maintains the Run Time System since July 1997, does most of the development of the compiler since July 2001, wrote most of the units, demo programs, scripts and utilities distributed with GPC, wrote many test programs, maintains the GPC To-Do list (see To Do) and the WWW home page, etc. made GPC compatible with gcc-3.1.1 and later backend versions, fixed backend problems on various targets and improved the frontend in the areas of structured initializers, qualified identifiers, etc. created the original versions of many BP compatibility units in May 1997, contributed code to other units and the Run Time System, helped porting GPC and the units to Cygwin, mingw and MSYS, wrote a number of test programs, contributed a Borland Delphi-compatible SysUtils unit, etc. fixed some bugs and cleaned up GPC in May 1998, etc. improved and extended the GPC manual in August – September 1999 and wrote conversion routines for Borland compatible 6 Byte floating point numbers in December 1999.
improved the performance of GPC's module/unit support in June 1997.
implemented more Borland extensions into GPC in July 1997.
wrote the GNU Pascal Coding Standards in November 2001, contributed a GPC unit for the svgalib graphics library for some platforms in February 2000, provided some portability enhancements to the RTS. wrote an internationalization unit, translated the GNU Pascal Coding Standards into German and worked on the documentation. translated the GPC documentation into Croatian and contributed code to the run time system. translated the GPC documentation into Spanish. maintains the DJGPP port of GPC, improved the numerical routines for real and complex numbers and improved and extended the GMP real routines. improved the numerical routines for real and complex numbers. helped with the port of GPC to Mac OS X and set up a web site with sources, binaries, patches and building instructions for this platform, and helped with Mac Pascal dialect support in GPC, since January 2003.
helps porting GPC to GCC-4.x backends since February 2005.
integrated GPC into EGCS and Debian GNU/Linux in May 1998, improved the installation process, etc. added support for Mac Pascal dialect specific features and improved the documentation. 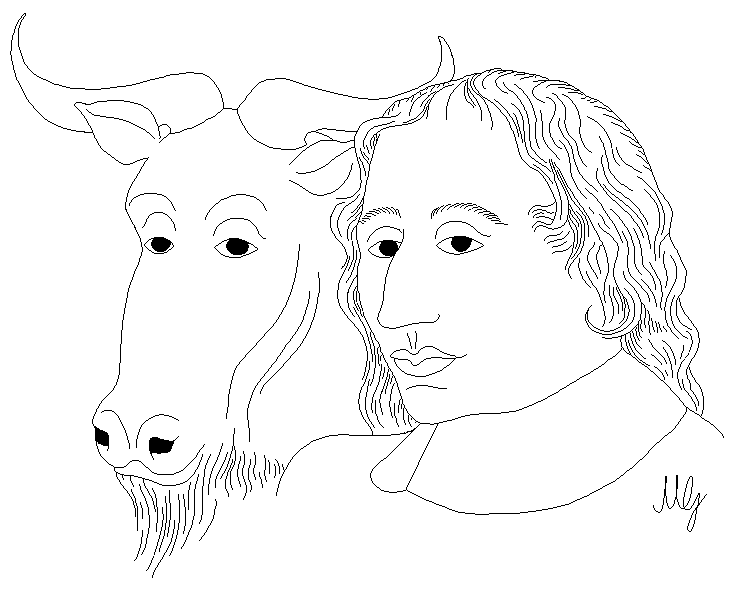 provided some contributions to the manual in May 1998.
maintains the GPC mailing list, since September 1999.
wrote a lot of useful documentation about Extended Pascal in 1995.
created the drawing showing a Gnu with Blaise Pascal -- small (PNG, 1 kB) large (PNG, 10 kB) --and helped to design the WWW home page in October 1996.
is writing a book about GPC in German since March 2003.
wrote units to access MySQL, GNU DBM and PostgreSQL databases in August 2000, and a unit (now part of GPC) and tools for internationalization in October – December 2001.
together contributed a set of GTK units in February – May 2001.
wrote the GNU Pascal Coding Standards in English. Eike Lange translated them to German. created a bug reporting system for GPC in October 1996.
wrote RHIDE, an integrated development environment for GNU compilers running under Dos (DJGPP) and Linux, and added support for GNU Pascal in autumn 1996.
wrote a mostly BP compatible Graph unit for several platforms in December 1996, now part of the GRX library. set up a German mailing list for GPC, Mailing List, in March 2001. This space is reserved for your name. ;−) Please contact us at the GPC mailing list, Mailing List, if you have something interesting for us. and everybody we might have forgotten to mention here. Thanks to all of you! The idea of using RTL and some of the optimization ideas came from the program PO written at the University of Arizona by Jack Davidson and Christopher Fraser. See “Register Allocation and Exhaustive Peephole Optimization”, Software Practice and Experience 14 (9), Sept. 1984, 857-866. Jim Wilson implemented loop strength reduction and some other loop optimizations. Michael Tiemann of Cygnus Support wrote the support for inline functions and instruction scheduling. Also the descriptions of the National Semiconductor 32000 series cpu, the SPARC cpu and part of the Motorola 88000 cpu. David Kashtan of SRI adapted GNU CC to VMS. Greg Satz and Chris Hanson assisted in making GNU CC work on HP-UX for the 9000 series 300. Alain Lichnewsky ported GNU CC to the Mips cpu. Devon Bowen, Dale Wiles and Kevin Zachmann ported GNU CC to the Tahoe. Gary Miller ported GNU CC to Charles River Data Systems machines. Richard Kenner of the New York University Ultracomputer Research Laboratory wrote the machine descriptions for the AMD 29000, the DEC Alpha, the IBM RT PC, and the IBM RS/6000 as well as the support for instruction attributes. He also made changes to better support RISC processors including changes to common subexpression elimination, strength reduction, function calling sequence handling, and condition code support, in addition to generalizing the code for frame pointer elimination. Richard Kenner and Michael Tiemann jointly developed reorg.c, the delay slot scheduler. Mike Meissner and Tom Wood of Data General finished the port to the Motorola 88000. Mike Meissner at the Open Software Foundation finished the port to the MIPS cpu, including adding ECOFF debug support, and worked on the Intel port for the Intel 80386 cpu. Torbjorn Granlund implemented multiply- and divide-by-constant optimization, improved long long support, and improved leaf function register allocation. Mike Stump implemented the support for Elxsi 64 bit CPU. John Wehle added the machine description for the Western Electric 32000 processor used in several 3b series machines (no relation to the National Semiconductor 32000 processor).